Sometimes you have to deal with extreme changes in water conditions so you just have to alter your approach to fishing that particular day. 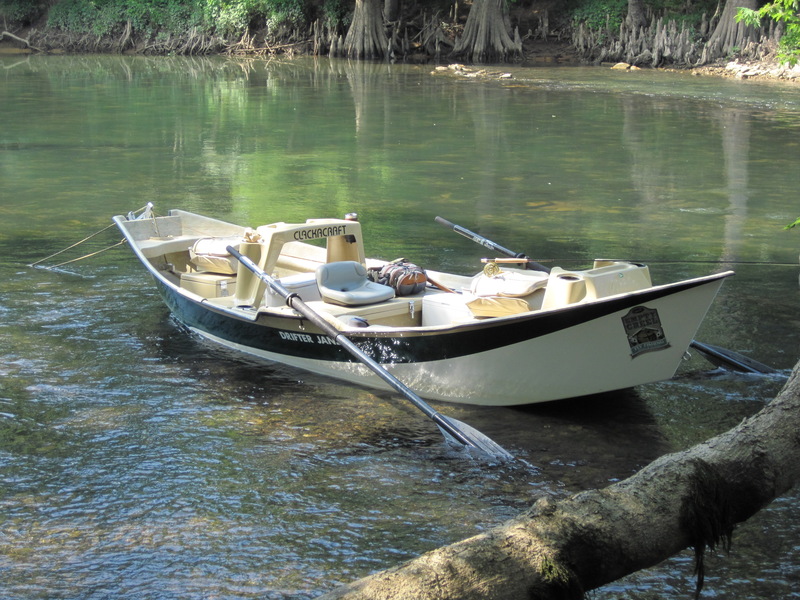 This past weekend there was absolutely no generation for several days on the Little Red River and the water was dead low, crystal clear and we had blue bird skies. 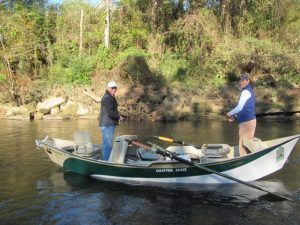 We decided to take Mike and William, who are both from Memphis, TN., on a drift boat trip on the lower river to get away from the crowd of fly anglers during the fall season. In dead low water conditions like this a stealth approach can really up the odds on a difficult fishing day. 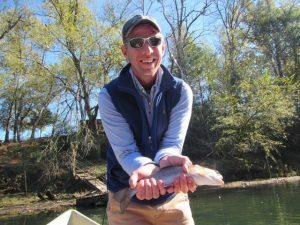 Fly fishing from a drift boat allows you move very quietly down the river giving the angler a much better opportunity to approach very spooky fish. Long, light leaders, small flys and a really good dead drift also provide better opportunities when casting to skittish fish. Mike and William took a good number of fat Rainbows and several nice Brown Trout on #14 RG/PT Cruisers and #16 Hairy Legged Sow Bugs with a Goins Gold Soft Hackle dropper. We had a really nice seven mile float down the river and enjoyed a beautiful fall day. We even got to watch a spike buck chase a doe all the way across the river. It was quite a sight that we probably would not have seen if not for our stealthy drift boat approach to the day.